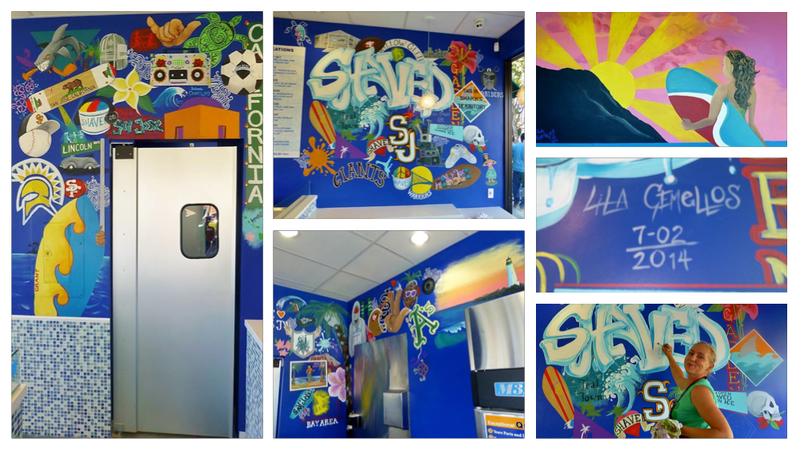 SHAVED Hawaiian Ice contacted Lila Gemellos as renovations for their specialty dessert shop were wrapping up. Gemellos was asked for something that incorporated Hawaiian surf culture with San Jose’s rich History. SHAVED also asked for some hip-hop undertones and graffiti motifs.